adhesion. The force causing unlike molecules to be attached to one another. alkali metals. A group of soft, very reactive elements that include lithium, sodium, and potassium. angstrom unit. One hundred-millionth of a centimeter or 108. anion. A negatively charged ion. arsenic. A gray, brittle element with a metallic luster. assay. A chemical test to determine the effect of a drug. atom. The smallest unit of a chemical element, about a third of a nanometer in diameter. A unit composed of neutrons, electrons, and protons. Atoms make up molecules and solid objects. Atomic Force Microscope (AFM). An instrument able to image surfaces by measuring the force on a tip as it moves across a surface on a substrate. Also termed a scanning force microscope. biopolymer. A polymer found in nature. DNA and RNA are examples of naturally occurring biopolymers. See also polymer. biosensor. A sensor used to detect a biological substance (for example: bacteria, blood gases, or hormones). biotech. Biotechnology, a technology based on biological organisms or molecular biological techniques. bottom-up nanofabrication. Building larger objects from smaller building blocks such as atoms and molecules. Buckminsterfullerene. SeeFullerenes. A broad term covering the variety of buckyballs and carbon nanotubes that exist. Named after the architect Buckminster Fuller, who is famous for the geodesic dome, which buckyballs resemble. Buckyball. A large molecule made up of 60 carbon atoms arranged in a series of interlocking hexagonal shapes, forming a structure similar to a soccer ball. carbon. A nonmetallic element found in all living things. Carbon is part of all organic compounds and, in combined form, of many inorganic substances. Diamonds, graphite, and fullerenes are pure forms of carbon. carbon nanotubes. Long, thin cylinders of carbon, that are unique for their size, shape, and remarkable physical properties. Nanotubes have a very broad range of electronic, thermal, and structural properties that change depending on the different kinds of nanotube length, chirality, or twist. catalyst. Any substance that increases a chemical reaction without itself being consumed by the reaction. cell. A small, usually microscopic, membrane-bound structure that is the fundamental unit of all living things. cholesterol. A large molecule found in living tissue including much of the mass of the human liver. cleanroom. A climate- and particle-controlled workspace that includes an air filtration system that changes the air in the cleanroom about ten times every minute. Special cleanroom suits are also required to protect equipment and other materials in the cleanroom. compound. A material in which atoms of different elements are bonded together. crystals. The formation of a solid whose atoms have a definite pattern or arrangement. dendrimer. A dendrimer is a polymer with physical characteristics that make it very applicable to probe and diagnose diseases or to manipulate cells at the nanoscale. Dendrimer comes from the Greek word dendra, meaning tree. Dip Pen Nanolithography. An AFM-based soft-lithography technique. A method for nanoscale patterning of surfaces by the transfer of a material from the tip of an atomic force microscope onto the surface. DNA (deoxyribonucleic acid). The molecule that encodes genetic information, found in the cell's nucleus. DNA Chip. A purpose-built microchip used to identify mutations or alterations in a gene's DNA. drug delivery. The use of physical, chemical, and biological components to deliver controlled amounts of a therapeutic agent to a diseased cell. E-beam. An electron beam focused, steered, and controlled by magnets and by electrostatic lenses, such as in an e-beam writer or a Scanning Electron Microscope (SEM). electrode. A material that allows an electric current to enter or leave a device. electron. A subatomic particle with one negative charge. electron beam lithography. A process of fabrication that uses electron beams to form structures on surfaces. electron microscopy. An electron microscope uses electrons rather than light to create an image. An electron microscope focuses a beam of electrons at an object and detects the actions of electrons as they scatter off the surface to form an image. element. A material consisting of only one type of atom. fuel cell. An electrical cell that converts chemical energy of a fuel into direct-current electrical energy. Researchers are hoping to develop fuel cells that could take the place of combustion engines, thereby reducing the world's dependence on fossil fuels. ferrofluid. A fluid in which fine particles of iron, magnetite, or cobalt are suspended, typically in oil. Ferrofluids were invented by NASA as a way to control the flow of liquid fuels in space. ferromagnetic materials. Substances, including a number of crystalline materials that are characterized by a possible permanent magnetization. fluorescence. The property of molecules to absorb a wavelength of light and then emit light at a higher wavelength. fullerenes. Fullerenes are a molecular form of pure carbon discovered in 1985. The most abundant form produced is buckminsterfullerene (C60), with 60 carbon atoms arranged in a spherical structure. There are larger fullerenes containing from 70 to 500 carbon atoms. in vivo. A medical experiment done within a living subject. ion. An atom or molecule that is electrically charged. ion conductors. The discharge of charged particles in a fluid electrolyte to conduct an electrical current. ionic bond. A chemical bond in which an attractive electric force holds ions of opposite charge together. lab-on-a-chip devices. Miniaturized analytical systems that integrate a chemical laboratory on a chip. Lab-on-a-chip technology enables portable devices for point-of-care (or on-site) medical diagnostics and environmental monitoring. liposome. A type of nanoparticle made from lipids or fat molecules. It was the first nanoparticle used to create therapeutic agents to treat infectious diseases and cancer. lithography. The process of imprinting patterns on materials. logic gates. Fundamental logic structures that are used in digital computing. The most common gates are AND, OR, NOT Logic gates. Magnetic Force Microscope. A kind of scanning probe microscope in which a magnetic force causes the tip to move. The motion allows the operator to measure the magnetic force of a sample. matter. Anything that occupies space. metastasis. The process by which certain cancers spread from one organ or structure within the body to another. microchip. A silicon chip that contains many microscopic components. molecular manufacturing. The automated building of products from the bottom up, molecule by molecule, with atomic precision. This will make products that are extremely lightweight, flexible, and durable. molecular motors. Nanostructures that work by transforming chemical energy to mechanical energy within biological structures. molecules. Molecules are groups of atoms, which are bonded together. monomer. A small molecule that may become chemically bonded to other monomers to form a polymer. From the Greek mono "one" and meros "part." Moore's Law. Coined in 1965 by Gordon Moore, future chairman and chief executive of Intel, it stated at the time that the number of transistors packed into an integrated circuit had doubled every year since the technology's inception four years earlier. In 1975 he revised this to every 2 years, and most people quote 18 months. nanobiotechnology. The ability to develop the tools and processes to build devices for studying biosystems, in order to learn from biology how to create better nanoscale devices. nanocomposites. Nanomaterials that result from the mixture of two or more nanoparticles to create greater strength in a product. nanocrystals. Nanocrystals are aggregates of thousands of atoms that combine into a crystalline form of matter. Typically around 10 nanometers in diameter, nanocrystals are larger than molecules but smaller than bulk solids. The crystals might be added to plastics and other metals to make new types of composite structures for everything from cars to electronics. nanodots. Nanoparticles that consist of homogenous materials that are spherical or cubical in shape. nanofabrication. The construction of items using assemblers and stock molecules. nanofiber. A polymer membrane formed by electrospinning, with filament diameters of 150-200 nanometers. nanolithography. Refers to etching, writing, or printing at the microscopic level, where the dimensions of characters are on the order of nanometers. nanomanipulation. The process of manipulating items at an atomic or molecular scale in order to produce precise structures. nanomedicine. The area of research focusing on the development of a wide spectrum of nanoscale technologies for disease diagnosis, treatment, and prevention. nanometer. A unit of measurement equal to one-billionth of one meter. The head of a pin is about 1 million nanometers across. nanoparticle. A nanoscale spherical or capsule-shaped structure. Most nanoparticles are hollow, which provides a central reservoir that can be filled with anticancer drugs, detection agents, or chemicals. Most nanoparticles are constructed to be small enough to pass through blood capillaries and enter cells nanoprobe. Nanoscale machines used to diagnose, image, report on, and treat disease within the body. nanorods or carbon. Formed from multiwall carbon nanotubes. nanoscale. The length scale between 1 to 100 nanometers. nanoshells. Nanoscale metal spheres, which can absorb or scatter light at virtually any wavelength. Nanoshells are being investigated for use in treating cancer. nanoscience. The scientific understanding of nanoscale. nanospheres. Spherical objects from tens to hundreds of nanometers consisting of synthetic or natural particles. nanostructures. 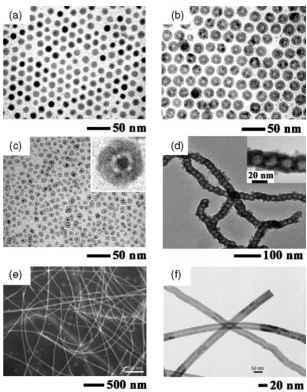 Structures whose overall design is at the nanoscale. nanotechnology. A manufacturing technology to fabricate most structures and machines from individual atoms and molecules. nano-test-tubes. Carbon nanotubes that are opened and filled with materials, and used to carry out chemical reactions. nanotube. A one-dimensional fullerene with a cylindrical shape. Carbon nanotubes were discovered in 1991 by Sumio Iijima. Nanotubes are a proving to be useful as molecular components for nanotechnology. nanowires. Semiconductor nanowires are one-dimensional structures, with unique electrical and optical properties, that are used as building blocks in nanoscale devices. neutron. A subatomic particle with no electrical change and positive charge. optics. The science of light and its interaction with matter. piezoelectrics. Dielectric crystal that produces a voltage when subjected to mechanical stress or can change shape when subjected to a voltage. photosynthesis. The process by which plants and bacteria transform energy from light sources into chemical energy. photovoltaics. An artificial system that transforms light energy into electrical current. polymer. A macromolecule formed from a long chain of molecules called monomers. Polymers may be organic, inorganic, synthetic, or natural in origin. polymerization. The process of making polymers from monomers. protein. Large organic molecules involved in all aspects of cell structure and function. proton. A subatomic particle with a positive charge of one unit. The number of protons in a nucleus determines which element the atom is. quantum. A small discrete package of light energy. quantum dots. Nanometer-sized semiconductor particles, made of cadmium selenide (CdSe), cadmium sulfide (CdS), or cadmium telluride (CdTe) with an inert polymer coating. Researchers are investigating the use of quantum dots for medical applications, using the molecule-sized crystals as probes to track antibodies, viruses, proteins, or DNA within the human body. quantum dot nanocrystals (QDNs). They are used to tag biological molecules. quantum mechanics. A largely computational physical theory that describes the properties of matter at the nanometer scale. replicator. A system able to build copies of itself when provided with raw materials and energy. RNA (ribonucleic acid). A long linear polymer of nucleotides found mainly in the cytoplasm of a cell that transmits genetic information from DNA to the cytoplasm and controls certain chemical processes in the cell. Scanning Force Microscope (SFM). An instrument able to image surfaces to molecular accuracy by mechanically probing their surface contours. Also termed an atomic force microscope. Scanning Probe Microscopy (SPM). Experimental techniques used to image both organic and inorganic surfaces with atomic resolution. Includes atomic force microscopes and scanning tunneling microscopes. Scanning Tunneling Microscope (STM). An instrument able to image conducting surfaces to atomic accuracy to reveal the structure of a sample. self-assembly. At the molecular level, the spontaneous gathering of molecules into well-defined, stable structures that are held together by intermolecular forces. semiconductor. A solid substance, such as silicon, whose ability to conduct electricity is less than metals. The semiconductor's ability to conduct electricity increases with rising temperatures. silicon. A nonmetallic element that is widely used as a semiconductor for making integrated circuits. solubility. The ability of a solute to dissolve in a given solvent. spectroscopy. The science of using a tool to reveal the composition of a sample by measuring the light absorbed, scattered, and emitted by atoms or molecules resulting in a spectrum. stent. An expandable wire mesh used in a medical operation to keep blood vessels open. substrate. A wafer that is the basis for subsequent processing operations in the fabrication of semiconductor devices. superconductor. An object or substance that conducts electricity with zero resistance. thin film. A film one molecule thick; often referred to as a monolayer. top-down fabrication. The process of making a nanostructure starting with the largest structure and taking parts away. top-down nanofabrication. Produces nanometer-scaled devices from bulk materials by lithography techniques, which include photolithography, e-beam lithography, and nanoimprint, etc. transistor. The basic element in an integrated circuit. It is an on/off switch that determines whether a bit is one or two. Transmission Electron Microscopy (TEM). The use of electron high-energy beams to achieve magnification close to atomic observation. wavelength. The wavelength of light is usually measured in angstrom units. zeolite. A ceramic material built of aluminum oxide and silicon oxide with other materials.